You may see Spin Class, Body Pump, Step Aerobics, and then Yoga tossed in the mix. Though there are still a multitude of studios that are exclusively dedicated to the art of Yoga and some that focus on specific genres of Yoga. Yoga is a holistic practice dating back to at least the fifth century in India, and brought to prominence, in the west, in the twentieth century. Yoga gained popularity in the 1980s, and since that time, classes can be found in cities and towns of all sizes, across the United States. Encompassing the mind, body, and spirit, Yoga is a discipline that focuses on movement and postures with a meditative core. For some, Yoga is a spiritual practice. However, for most it is simply a program of exercise, relaxation, or art. 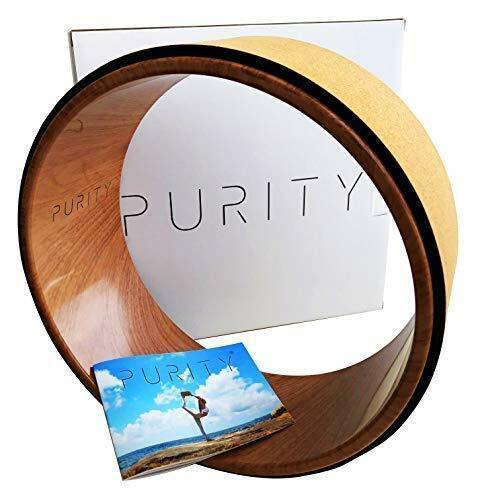 In a typically Yoga studio you may find Buddhists, Christians, overworked CEO’s, overwhelmed mothers, college students, couples, athletes, and anyone else who desires more focus and serenity in their life. So why should you learn how to start doing Yoga? Well people who practice Yoga report feeling less stressed, experiencing improved focus, having higher immunity, acknowledge higher energy levels, and boast deeper sleep, among numerous additional positive qualities. Athletes enjoyed boast in balance, flexibility, strength, core isolation strength, and the ability to focus on specific muscles. The word “Yoga” in Sanskrit means listen. Yoga is about listening to your body and becoming more aware of your muscles. As you stretch, bend, and breathe, you listen to what your body is telling you it needs – where it needs to be stretched, strengthened, and nurtured. The most popular Yoga found at most fitness centers is Hatha Yoga, which refers to a group of exercises or postures (also called asanas) which are designed to align all parts of the body, from the skin and muscles to the bones and joints. The goal of the various postures is to open the different channels of the body to allow energy to flow freely. The main channel is the spine; its alignment and energy flow are critical to physical well-being. Since Yoga is practiced in bare feet, there is no requirement for special exercise shoes or socks. Bare feet are best because it’s necessary for the feet to be firmly planted on the sticky Yoga mat, so they are not able to slide out from underneath your body. If going bare-footed isn’t your preference, there are Yoga socks available with gripping surface on the sole. You can do Yoga in any type of loose clothing. It’s important that the clothes move and stretch with you and not bind or restrict your movement in any way. 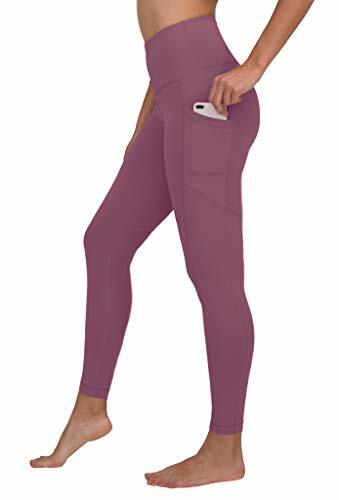 Comfortable Yoga pants are important as well. 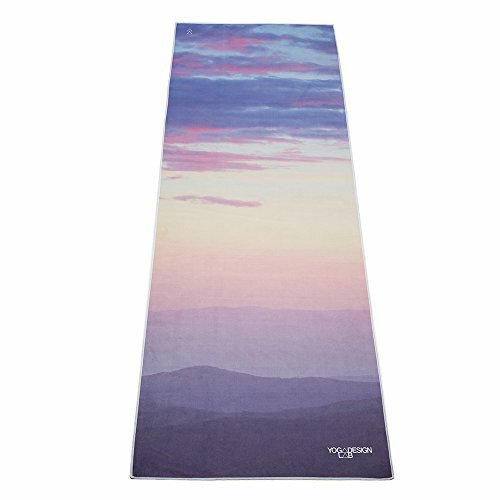 Yoga Mat– A Yoga mat is essential. A Yoga mat provides a gentle cushion for your hands and feet and protection from the hard surface of the floor. Yoga mats also have a slightly sticky surface that keeps feet and hands in place and avoids sliding during various poses. Do investigative market research prior to purchasing a mat. There are numerous mats available and in order to get a high quality mat, you may need to spend a bit more. The longevity will be worth it. 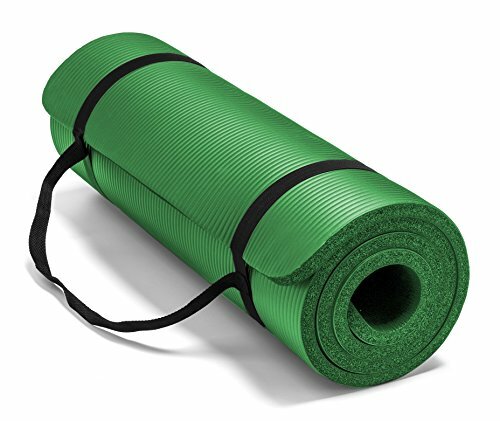 Mat Cleaner -A mat cleaner is an excellent compliment to your Yoga gear. If you invest in a high a high quality mat, you do not want to disrupt the surface by cleaning it with household cleaners. These specialized cleaners are made to preserve the integrity of the mat, while keeping your mat disinfected between sessions. 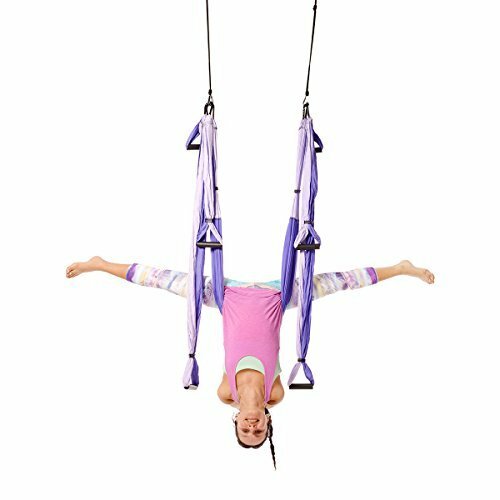 Yoga Strap – A Yoga strap assists with poses that are too difficult at first. For example, a Yoga strap can be used for seated stretches that reach toward the toes. If the flexibility isn’t there, putting the strap around the feet, gives a little extra support when working on that stretch. 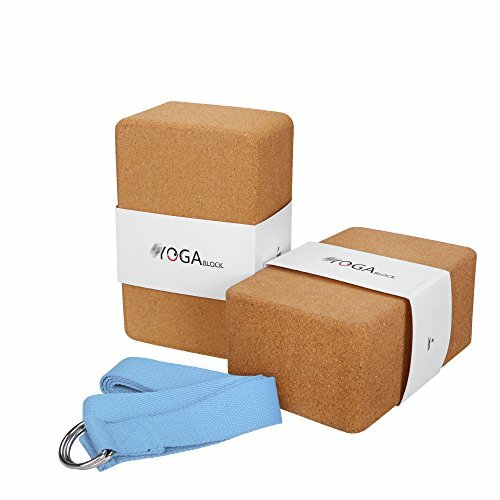 Yoga Block– A Yoga block can be used in the same way during standing poses. The block provides the extra boost when your flexibility doesn’t allow you to reach all the way to the floor. Yoga Towels– Yoga towels are an asset, especially for those participating in “hot Yoga” classes or for any individual prone to sweat. They are highly absorbent and help to keep sweat from dripping of the face or affecting the grip of the hands and feet. It is important to keep that Yoga mat dry. Yoga towels are a benefit in all yoga classes. However, in hot yoga classes, they are actually used in parts of the routine, in order to avoid danger from the moisture. 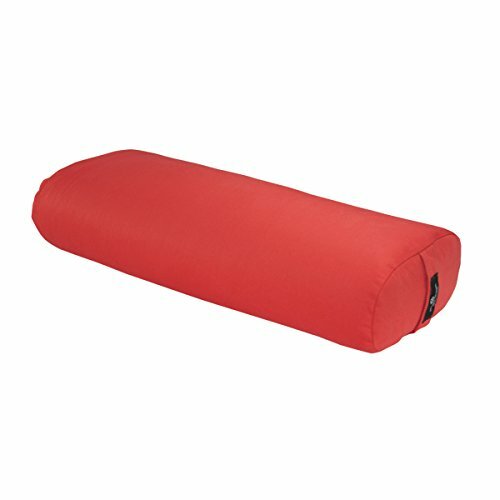 Yoga pillows or bolster sometimes double as a pillow during the meditation (relaxation) portion of the session. Yoga Bag – Though it is not an absolute “need”, you will find it very advantageous to purchase a yoga mat bag. 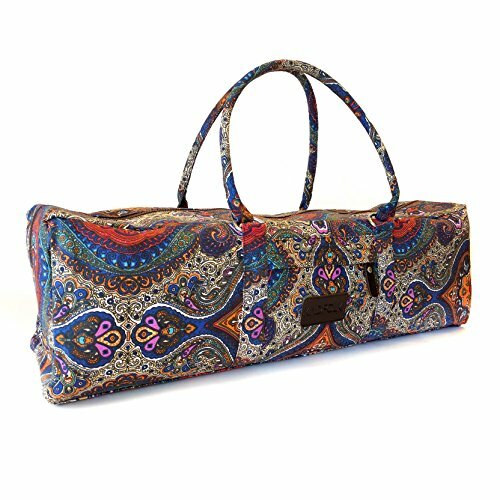 Many of these are designed specifically to carry yoga equipment, as well as the very cumbersome mats. Yoga DVDs – If you are a beginner or never tried Yoga you may find it beneficial to practice at home with a beginner Yoga DVD. If you are looking to lose weight as well, there are specific Yoga DVDs for weight loss programs on them. Yoga is a highly beneficial practice that benefits the body in multitude of ways. A study by the National Institutes of Health in 2011 found that regular Yoga practice alleviated lower back pain. The awareness of body alignment and learning stretching and balancing moves targeted at specific muscles, organs, and bones provide extensive healing properties to a variety of medical ailments. A Johns Hopkins University study found that Yoga helps build balance and is particularly beneficial to seniors who are more susceptible to falls. In addition to the large benefits to the body, Yoga is an excellent program for relaxation. Additionally, it activates neurotransmitters, like most exercise programs, enabling one to feel an overall sense of well-being. Harvard University researchers found that Yoga helped relieve depression and was more effective in providing relief than other forms of gentle exercise, like walking. Yoga has been named as a healing factor or symptom reducer in numerous other ailments, due to its focus on increasing blood flow to certain areas of the body and gentle massaging of the organs. Yoga was found to reduce blood pressure in a study conducted by the University of South Carolina. Although Yoga can be practiced at any time of day, many people find that like any form of exercise, doing it just upon rising ensures that it gets done and can be checked off to “to do” list. If your energy level is better in the evening, than that may be the best time for you to engage in your Yoga practice. If you have a block of time in mid-afternoon, maybe that is your preferred time. There are many Yoga routines that are specifically designed for certain times of day. Some workout are targeted towards energizing the body and are suggested as a morning routine. Other programs center on giving a light afternoon “boost workout”. Additionally, there are specific programs (mostly completed via home dvd), that are designed to calm the body in preparation for a full evening’s rest. These specific time targeted workouts are touted to be very successful, when done correctly. However, most Yoga classes at general fitness centers are not that specific. It is important to listen to your body. Yoga shouldn’t cause pain; none of the poses should hurt. If one of the stretches or movement sequences lands you in a painful situation, stop. At exclusive Yoga centers, it is much more likely to find specialized classes for various needs. Yoga should be slow and gentle, especially in the beginning. Avoid bouncing into a stretch or pose. Bouncing can overstretch a muscle. Move into each pose gently and smoothly. Keep your body loose and relaxed. Joints shouldn’t be locked, nor should they be too bent. Muscles shouldn’t be tight and stretches shouldn’t be painful. Ease into each movement fluidly and with control. Your body may not be ready for that stretch, or strong enough for that pose. Yoga is about learning your body’s strengths and weaknesses, and training and caring for your muscles, bones, and joints. A great way for an ambitious Yoga student to start is by purchasing an at home dvd to teach some of the common poses. This might make you feel more comfortable and less like you are in a foreign land when you enter a studio. Keep in mind when you make it to your first in studio lesson that there is no need to worry about what other people are thinking. More so than most exercise programs, Yoga is highly focused on self-awareness, thus the other members of the class are barely aware of your existence in the room, much less how well you are mastering a pose. Yoga is also about learning to quiet and focus the mind. Our typical thought patterns jump around from subject to subject, and most people find it difficult to focus on their breathing during Yoga. Just like any other skill, it takes practice to quiet the thoughts and focus on each aspect of the body. Bringing the mind to a calm, still, focus is part of Yoga training, and without this focus, it’s impossible to listen to the body. This is when the mediation time is advantageous. Though some may use it as a religious purpose, most people use meditation to practice relaxation, blocking out “life” and finding a clear space in the mind to relax. Finally, be sure to drink plenty of water before, during, and after your Yoga session. Make having a bottle of water nearby an essential part of your Yoga equipment. Though it is important to keep hydrated throughout any exercise session, Yoga is especially important. Many of the poses massage some of the internal organs, releasing toxins, similar to receiving a massage. Drinking lots of water will help your body flush out malicious toxins and avoid getting a terrible headache. Cat and Cow Stretch – this pose is done on hands and knees. Place your knees on the mat directly under your hips with your hands under your shoulders. When you first start this pose, your spine will be straight, or in neutral position. Draw your belly button down toward the mat, allowing your tummy to sag and your back to arch downward. This is cow pose. Continue the movement by drawing the belly button in and upwards toward the ceiling, your back is now lifted in an upward arch. This is cat pose. Slowly roll through these two poses, keeping your hands and knees stationery. Plank Pose – this is an important strengthening move that builds strong core muscles important in our daily lives. Start by lying on your stomach and bringing your hands underneath your shoulders, and your toes under your heels. Press up onto your toes and elbows, leaving your forearms flat on the mat. Keep your body level by engaging your core stomach muscles. This exercise can be done on the elbows, as described, or all the way up with arms fully extended. Do the one that feels right to you as you begin to get in touch with your muscles. Cobra Pose – this is a good stretch to follow the plank, described above. Lower back down to the mat, keeping elbows bent and hands under your shoulders. Stretch out the toes so the tops of the feet are touching the mat. Press up on your hands, extending your arms, and keeping your pelvis on the mat so that the back arches and chest expands. This stretch can cause compression of the lower back, so use caution and stop if anything feels uncomfortable. Child Pose – following the cobra stretch, keep your knees and lower legs on the mat, and push your upper body up and back so your buttocks rest on your heels with your knees bent and hands on the mat. Walk your hands away from you as you lower your chest and rest your forehead on the mat. Breathe deeply as you relax in this restful pose. Video: A simple beginner home workout. While working through the poses, remember to focus on how your body feels. Check in with all parts of your body and observe how it feels. Try to isolate each area of your body and be cognizant to its position. Avoid passing judgement on your skills, just feel, observe, and listen. Pay attention to what your body is telling you it needs. Many people think Yoga looks really simple. I have heard many times, “How can it even be a work out if you are just stretching?” At your first Yoga class you will quickly learn that it is far from easy and takes a lot of discipline–and yes, you will break a sweat. You will stretch muscles you did not know existed and isolate them for extended periods of time. When you try to balance, in the beginning, prepare to fall over a few times. Just be careful to catch yourself, so you do not face plant! This is a challenging discipline that takes commitment. It is a constant work in progress. Yoga is not mastered; it is practiced for continual state of growth. The sooner you let loose and focus on your body and the instructor, the sooner you will begin making progress towards your goals. Once you begin experiencing the physical and mental benefits, as well as the over feelings of well-being—you are likely to become addicted to the discipline. Yoga is a great addiction to have! Just do not try to become a Yoga super star overnight. As with any physical activity, if you push yourself too hard in the beginning, you will likely end up getting injured or frustrated. This usually results in giving up before you even had a chance to get started. Go out and buy a trendy Yoga bag and some matching gear (for motivation) and sign up for a class today! You will not regret this investment into your health.